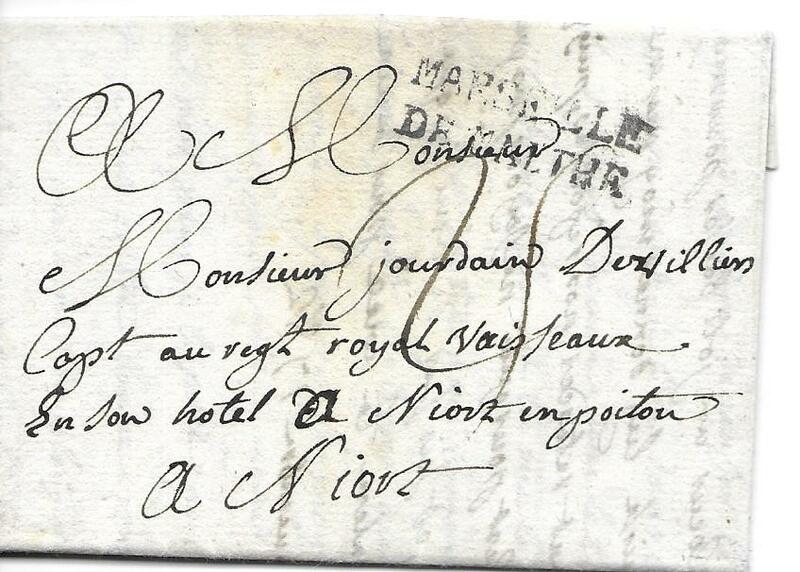 1782 entire to a Captain of the Royal Regiment residing in a hotel in Niort, France bearing a good example of the combined handstamp �MARSEILLE/ DE MALTHE�, �25� manuscript charge. 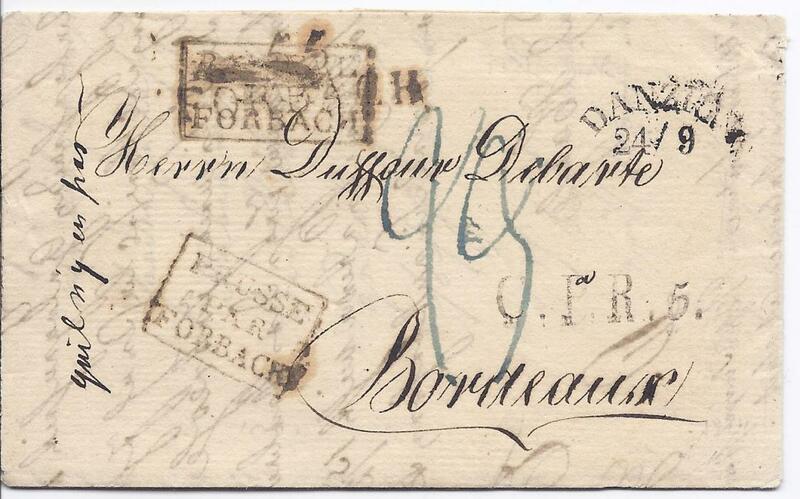 1824 entire to Bordeaux bearing cursive despatch date stamp, �C.P.R.5.� accountancy handstamp, incorrect French framed entry �BAVIERE/ PAR/ FORBACH� applied and overstruck by FORBACH straight-line handstamp, the correct French entry handstamp applied below. 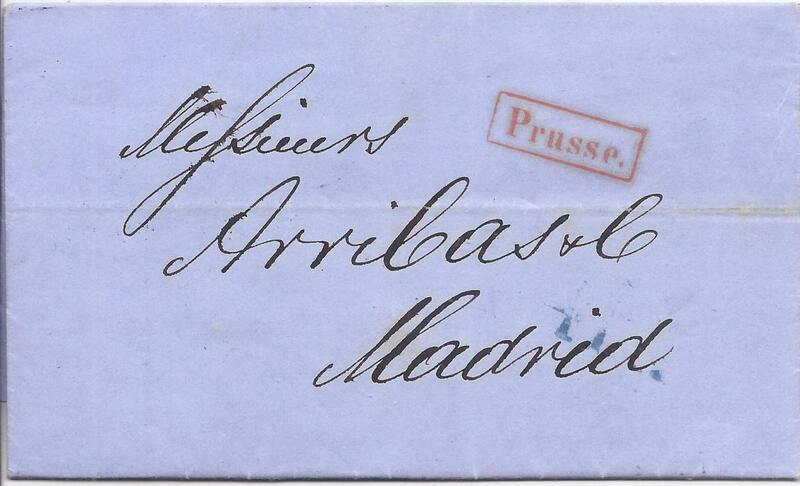 An unusual item. 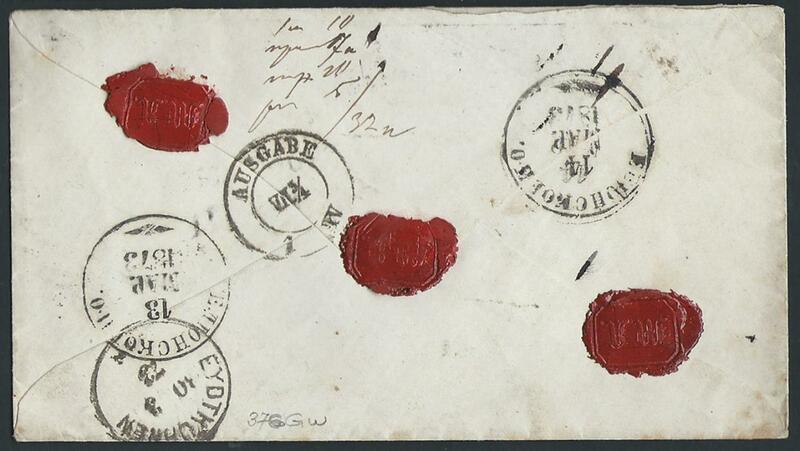 1834 long entire to Switzerland bearing straight-line MALTA POST OFFIC handstamp overstruck with Marseille transit and to right framed PAYS D�OUTREMER; fresh condition. 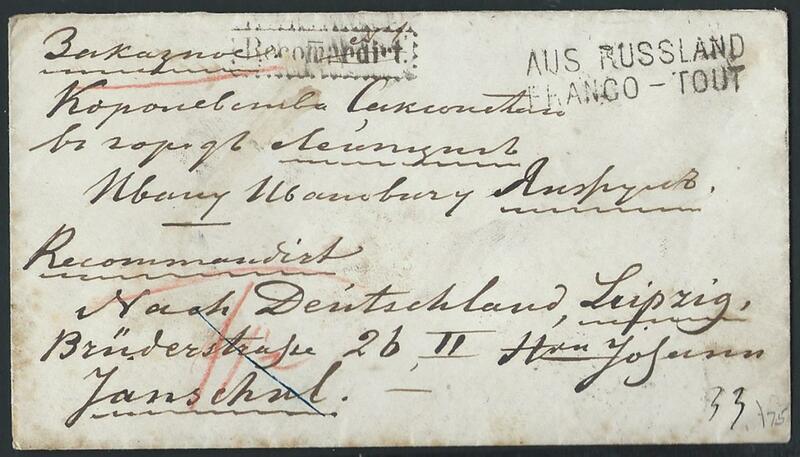 1841 entire to Vevey, Switzerland cancelled on reverse French language, unframed St. Petersbourg circular handstamp, FRANCO/ AUS RUSSLAND transit applied in Berlin whose cds is on reverse, arrival backstamp. 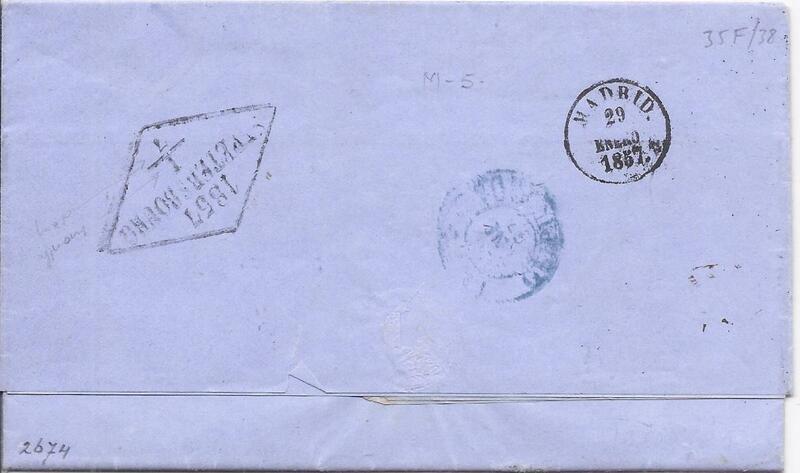 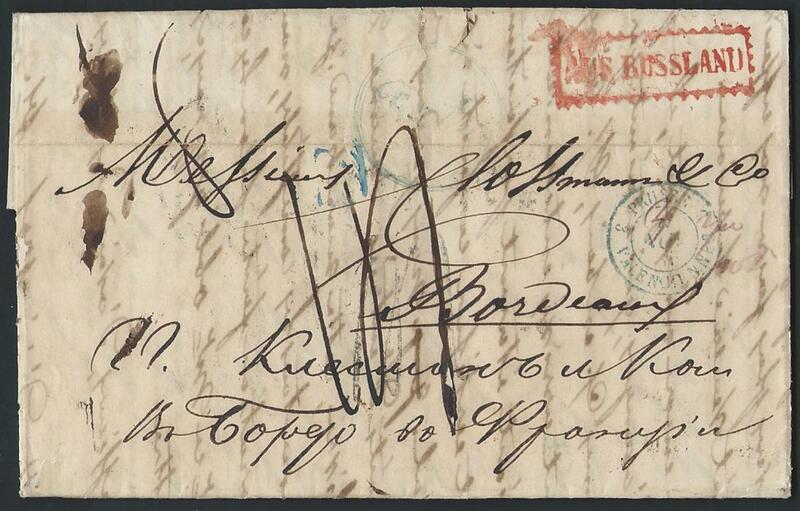 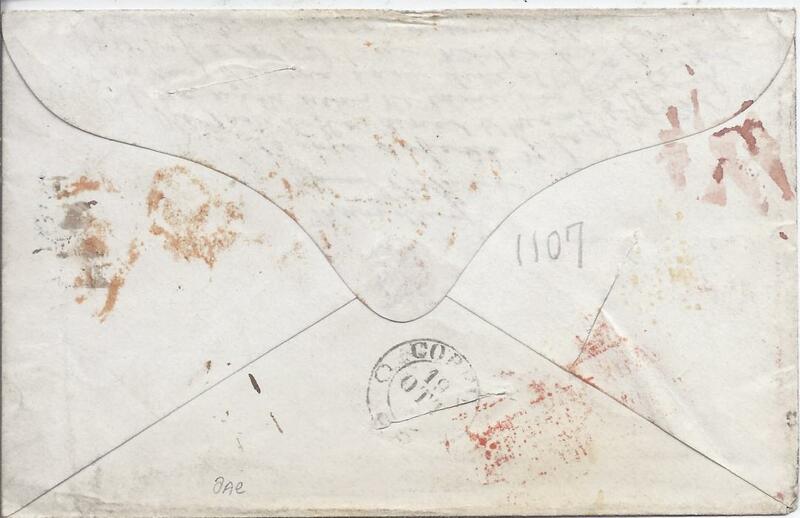 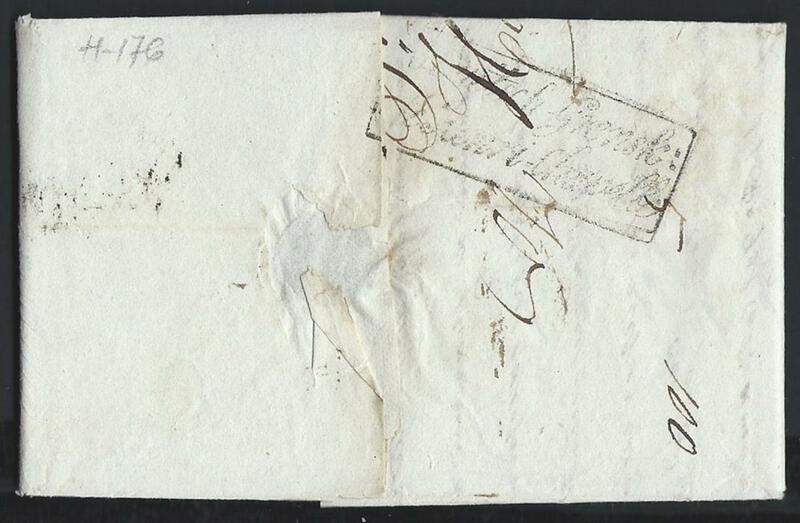 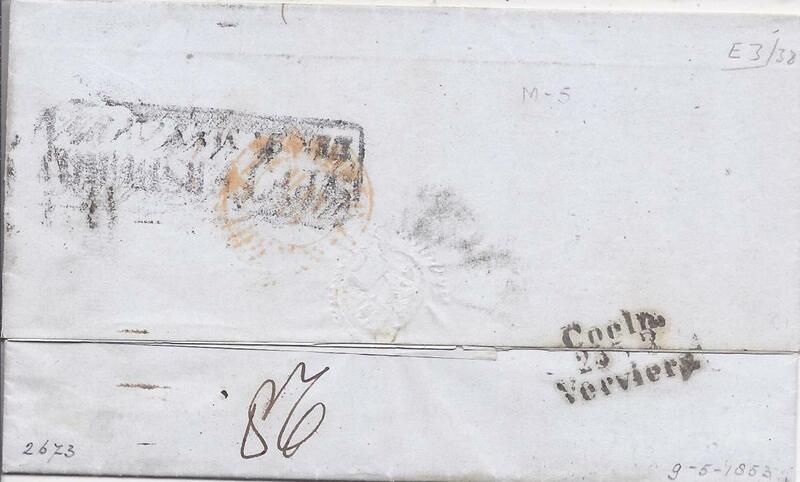 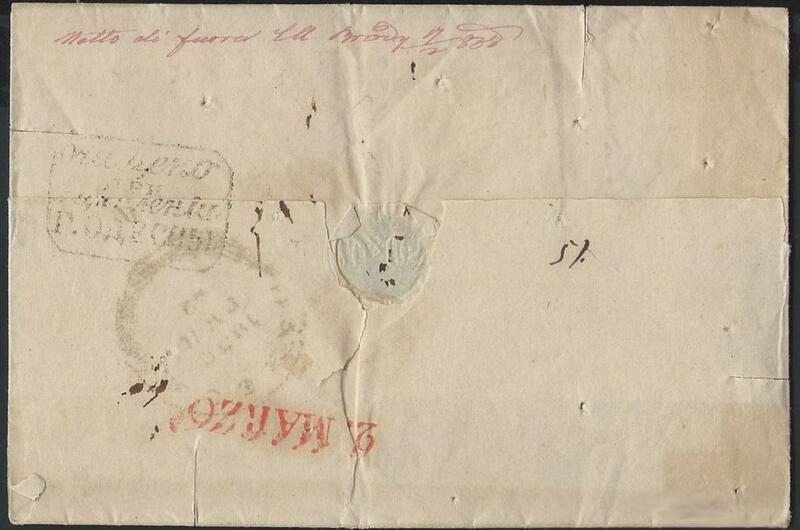 An extremely rare St Petersburg postmark, not recorded in Dobin. 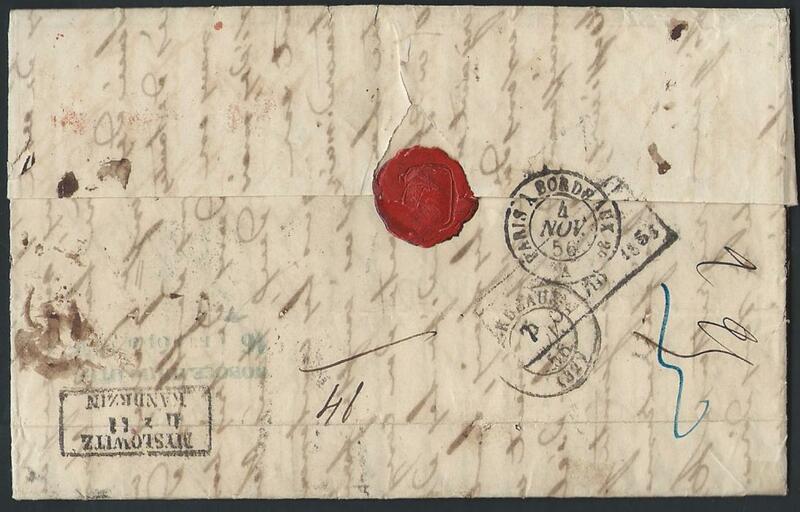 Baillie & Peel 1F, the three examples they record are all to Bordeaux. 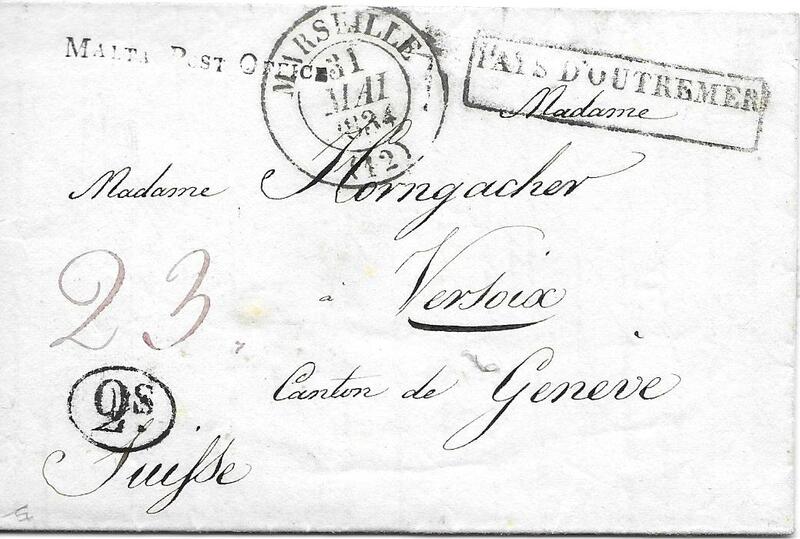 A rarity. 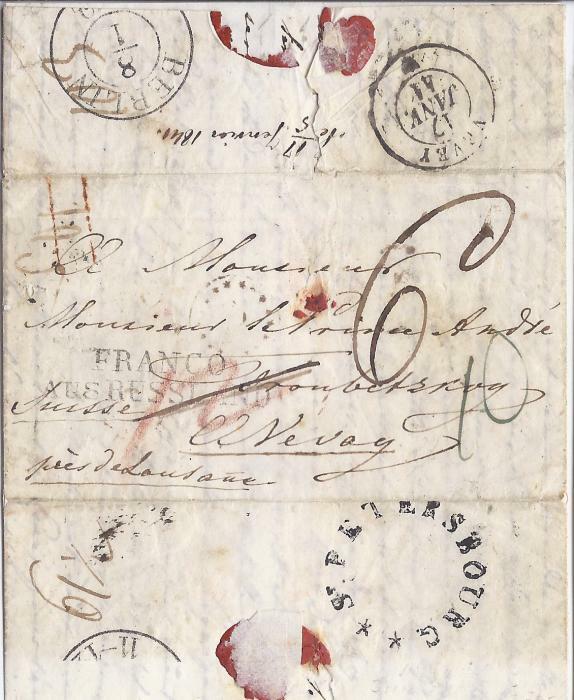 1850 cover from Derby to Corfu, endorsed "Via Ostend Vienne Trieste" bearing despatch cds, London transit, framed Aus England/ per Aachen franco handstamp and vertical accountancy handstamp 'd/53/8', disinfected with three slits; fine and scarce. 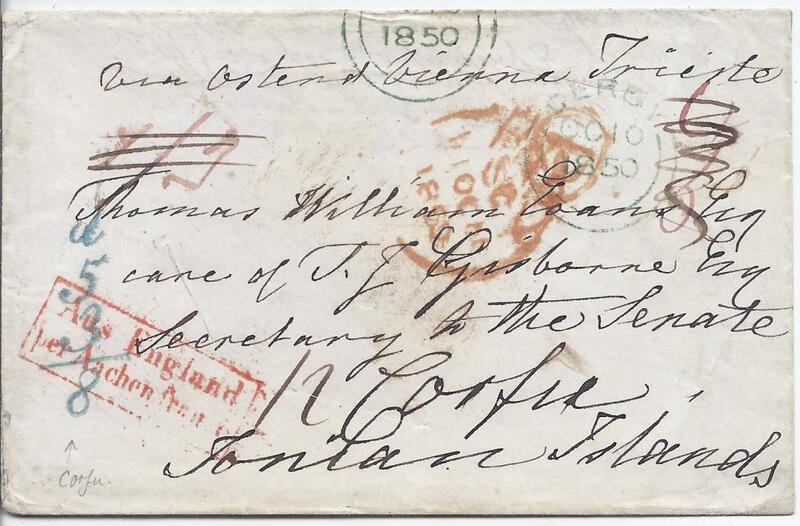 1852 outer letter sheet to Jacobstad, Finland bearing variety of manuscript rate markings on front, reverse with three-line Gibraltar/Ship Letter handstamp (Type 2, Day before Month), London transit and Seebrief Par England und Aachen transit; central vertical filing crease. 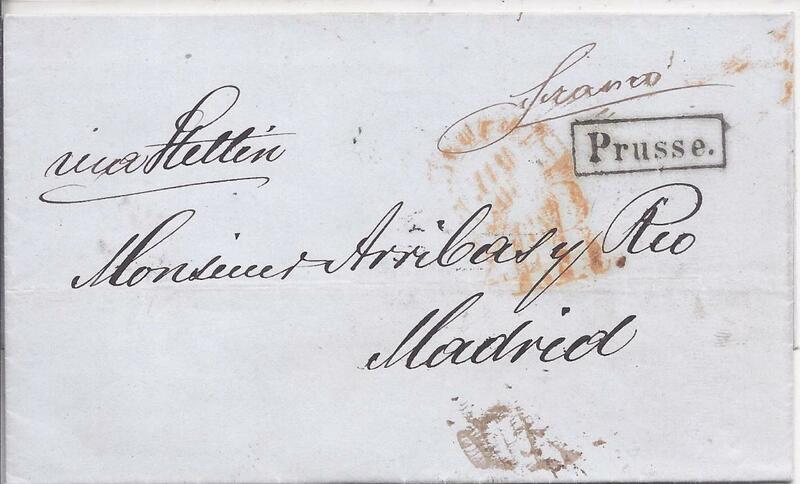 1853 and 1857 entires from Saint Petersburg to Madrid, spain, the first with framed despatch backstamp, framed PRUSSE transit on front together with '4R' charge handstamp. 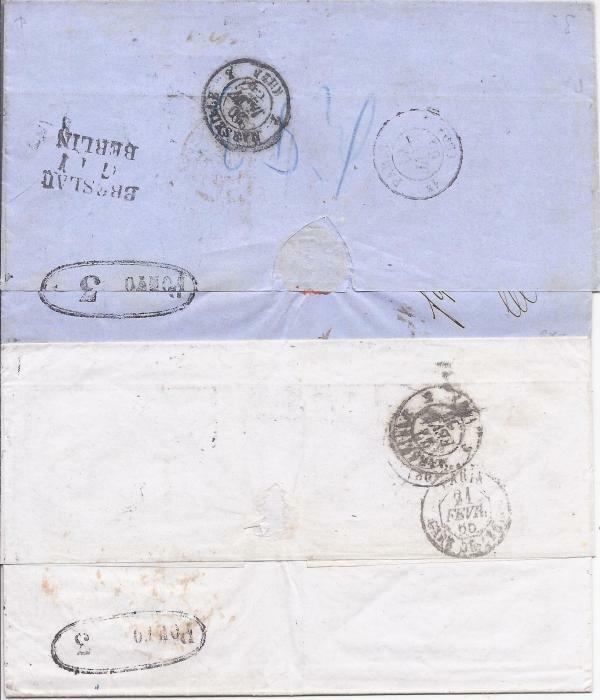 The scond with diamond framed despatch date stamp, framed PRUSSE handstamp on front together with '4R'charge handstamp. 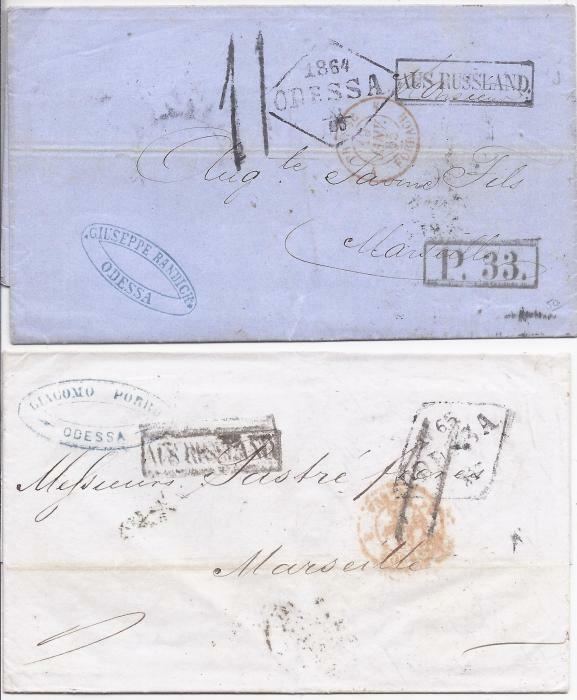 1865 two entires from Odessa to Marseille each charged 11 decimes on arrival, bearing boxed 'Aus Russland' cachets and two different types of oval-framed 'Porto 3' handstamps. 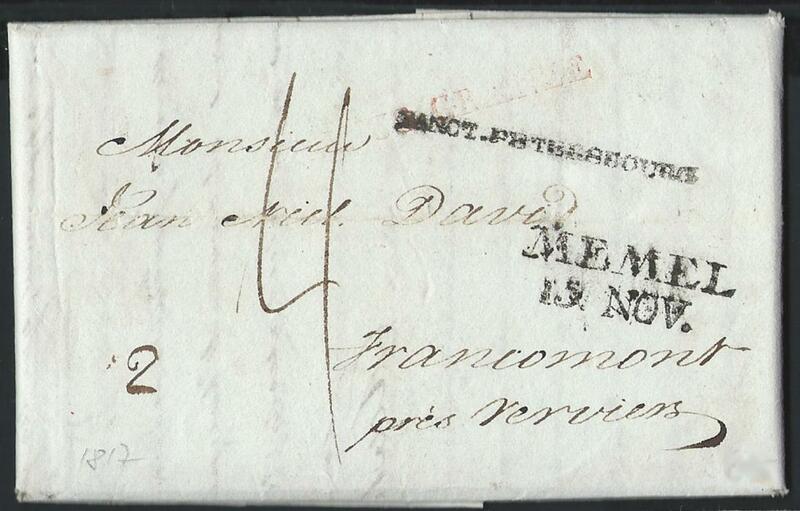 Prussia 1802 entire to Richelieu, France, endorsed "fro Cleve" and bearing good example of rare two-line EMERICH/ PAR CLEVES. 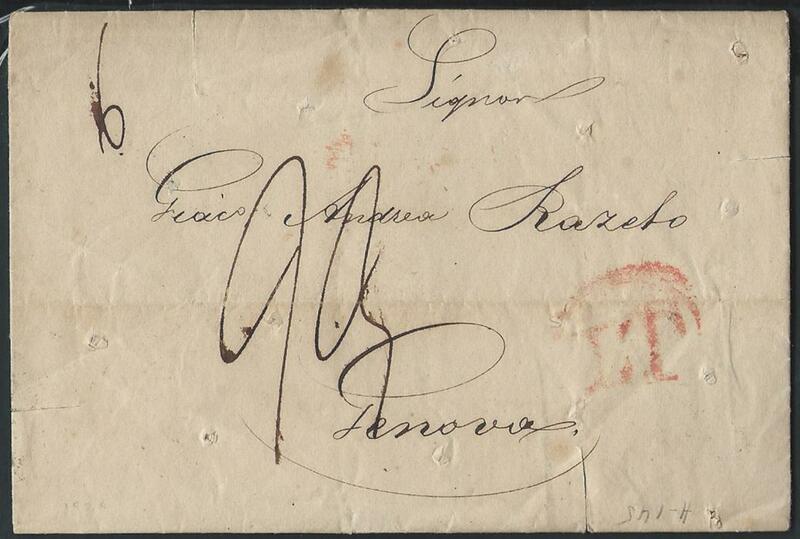 Fine and rare.